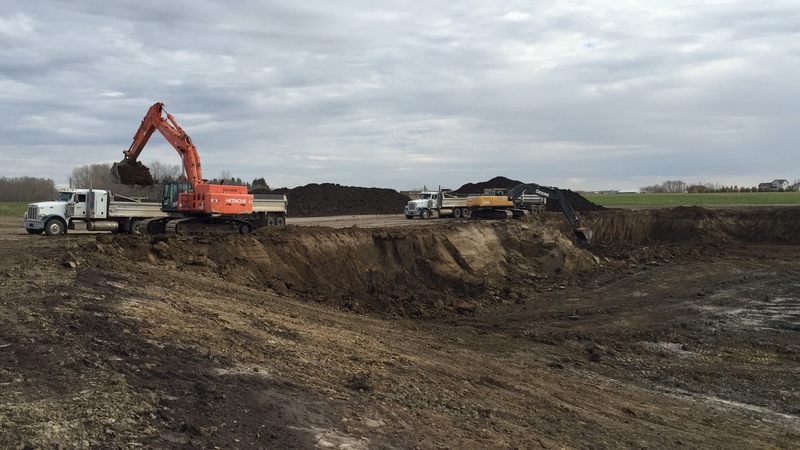 Whiterock Ventures provides backfill services in Edmonton as well. Backfill can be used for different purposes in different areas. General: Backfill the excavation after placement of the permanent structure. Use backfill free of stones large enough to interfere with compaction; large or frozen lumps that will not break down readily under compaction, wood, or other extraneous material. Obtain backfill material from excavation or other sources. In areas not supported by a completed roadbed, retaining wall, or embankment place backfill in layers at most 10 inches deep (loose measurement). In areas supporting a portion of a roadbed, retaining wall or embankment place backfill in uniform layers at most 8 inches deep (loose measurement). Compact each layer to meet the density requirements of the roadbed, retaining wall, embankment material, or as shown in the plans. “ Retaining Walls”. Backfill around bridge foundations and culvets using material with no particles more then 4 inches in greatest dimension and with a gradation that permits thorough compaction. Rock or gravel mixed with soil may be used if the percentage of fines is sufficient to fill al voids and ensure a uniform and thoroughly compacted mass of proper density. Where backfill material is being placed too close to the structure to permit compaction with blading and rolling equipment, use mechanical tamps and rammers to avoid damage to the structure. Avoid wedging action of backfill against structures. To prevent such action, step or serrate slopes bounding the excavation. Place backfill uniformly around bridge foundations. Place backfill along both sides of culverts equally and in uniform layers. Cement-Stabilized Backfill: Backfill the excavation to the elevations shown with cement-stabilized backfill. Use cement-stabilized backfill that contains aggregate, water, and a minimum of 7% hydraulic cement based on the dry weight of the aggregate, in accordance with Tex-120-E. Use clean sand as aggregate for cement-stabilized backfill unless otherwise shown on the plans. Use only approved aggregate. Floodable Backfill: Backfill the excavation with floodable backfill to the elevations shown. Prevent the structure from being displaced during the placement of the floodable fill, and prevent floodable fill from entering culverts and drainage structures.